Tour Guide Tour Company Tourist Attraction. Our mission is to provide a taylor made tour service to your requirements. Welcome to Bespoke Border Car Tours offering privately escorted luxury scenic tours of Castles, Abbeys, Historic Towns, Cities and Gardens throughout the beautiful Scottish Borders,Northumbria, Lake District and beyond. 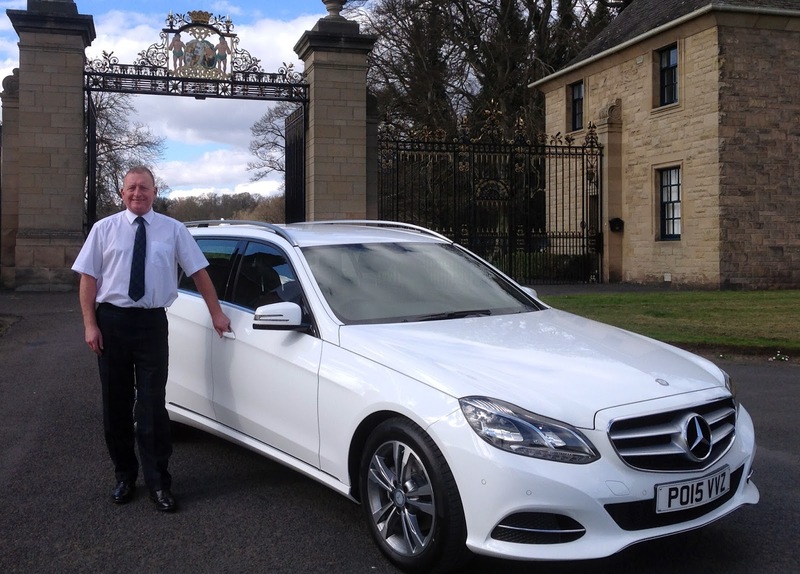 I am your chauffeur and guide with specialist driving skills and I am a fully insured driver. I'm a retired Police Officer and Royal Protection Officer. All tours are designed to deliver a truly unique tour schedule tailored to your specific requirements but please note tours are of a minimum four hours duration. You will travel accompanied by me throughout your journey and I will collect and return you to your hotel, airport or chosen destination in luxury with safety and style in one of our modern air conditioned Mercedes Benz. Why not enjoy pre-booked coffee, lunch and afternoon tea at recommended venues. I will make all the necessary arrangements so you can sit back, relax and enjoy your tour with peace of mind and in the knowledge that your day will be stress free. If you require daily papers this can be arranged.